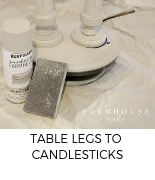 Not to rock your world, or anything, but I have found the easiest method of painting furniture. Put the brush down and walk away. 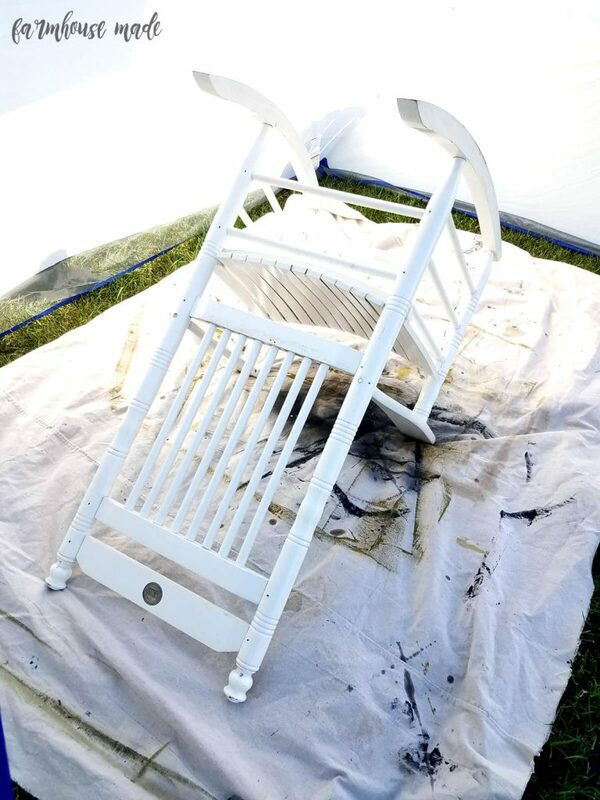 What I’m about to tell you is probably not Earth shattering, but I literally made the surprise-screaming-face emoji on my actual face, when I used my HomeRight Finish Max paint sprayer flip this grungy white rocking chair to a stunning black satin rocker for the porch. 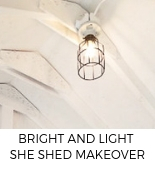 Keep reading down at the bottom for tons of inspiration and a chance to enter a giveaway for goodies from HomeRight! This post also contains affiliate links for your convenience. See my full disclosure here. I am legitimately never (98% positive on this) painting furniture with a paint brush again. 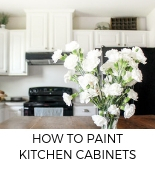 Granted, I’m not a huge painter of furniture, buuuuuuut, I can say when I do any painting furniture, it will not be with a brush unless I absolutely must. This sprayer is nothing short of a life saver. I have used one paint sprayer in my life, and hated it on so many levels. Which, is why I never bothered to use one to paint things before. The kind folks at HomeRight provided me a sprayer for this project to see if I can be swayed, and y’all I’m swaying like a tree in a breeze. YOU. NEED. THIS. PAINT. SPRAYER. We have a white rocker from Cracker Barrel (this one is pretty similar) we got for Lilly’s nursery before she was born, so it’s about 6 1/2 years old. Back then, I was thinking that I would rock her in this chair I purchased solely on looks for its’ farmhouse appeal, not thinking about how freaking uncomfortable the darn thing is while holding a 10lb baby at 2am. 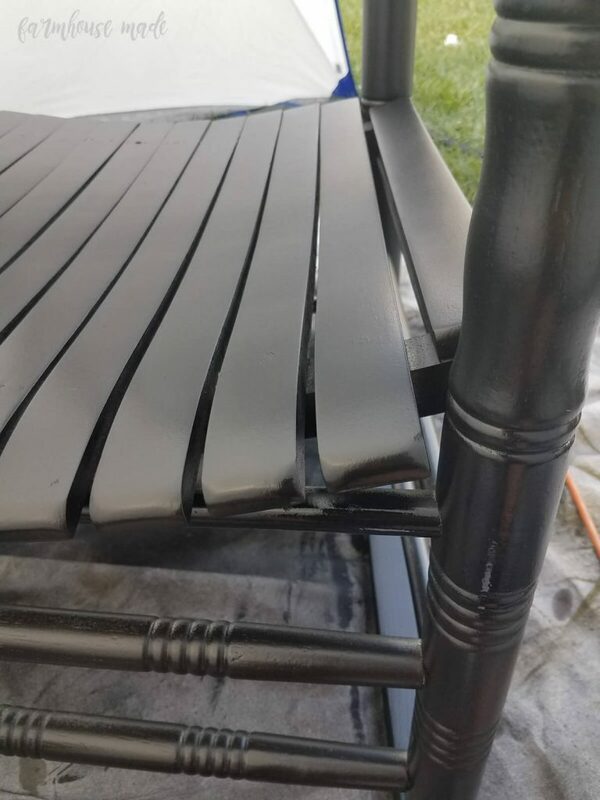 We did upgrade to a comfy chair, and banished this chair to the porch, and since then it’s just been getting weathered and broken. And the Nina Garcia type of sad. This sprayer and large shelter came to me, and y’all when I opened the box, angels flew out and they were singing and these beams of light shone so bright, and it was just heavenly. 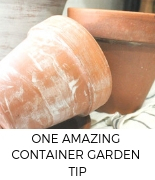 All you need is an extension cord, a piece of furniture, paint, water (for thinning), a container and something to stir with. The large spray shelter is also a massive life saver. As you know, I am THE sloppiest painter (there is proof here) to have ever lived. When I set up the shelter by myself (Edith was little help), it took me about 20 minutes. The whole thing is 2 poles, stakes, and the shelter which goes up like a tent, except way easier. It has no bottom, so you’ll want to use a tarp or drop cloth to fully protect your flooring or yard. As you can see, I did not use a drop cloth to cover the whole floor because I didn’t realize I didn’t have an adequate sized cloth handy. 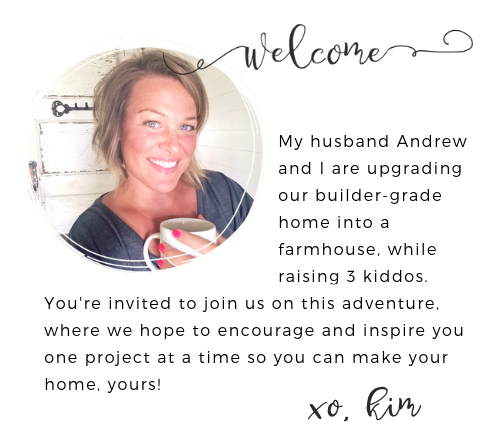 A 9×12 should do you nicely! It’s super fast to set up and start painting. This sprayer isn’t as loud as other sprayers. It doesn’t use an air compressor. 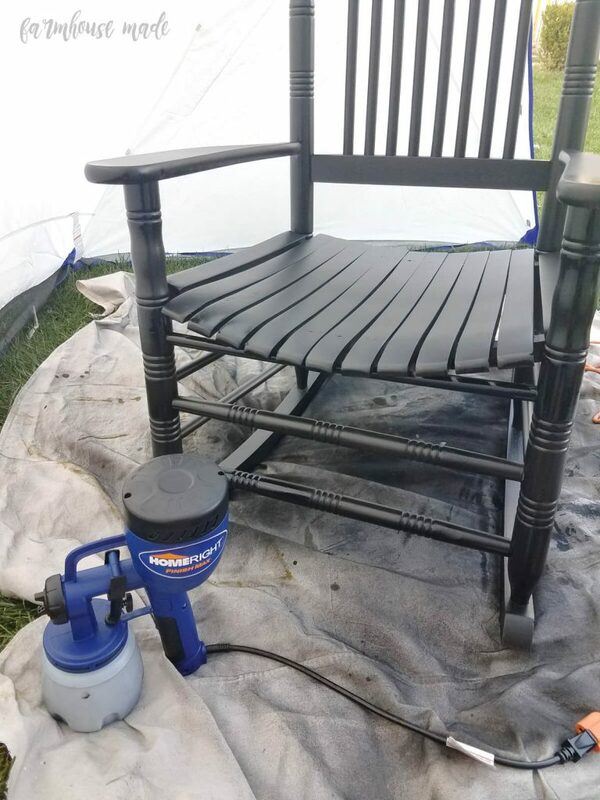 I took a little bit of time to play with the different spray settings until I found what worked the best for this chair. When you turn the nozzle on the front of the sprayer, you get a horizontal, vertical or round spray. There is also a knob to control the volume of paint that’s sprayed, so it’s really user friendly and customizable to fit the job you need. 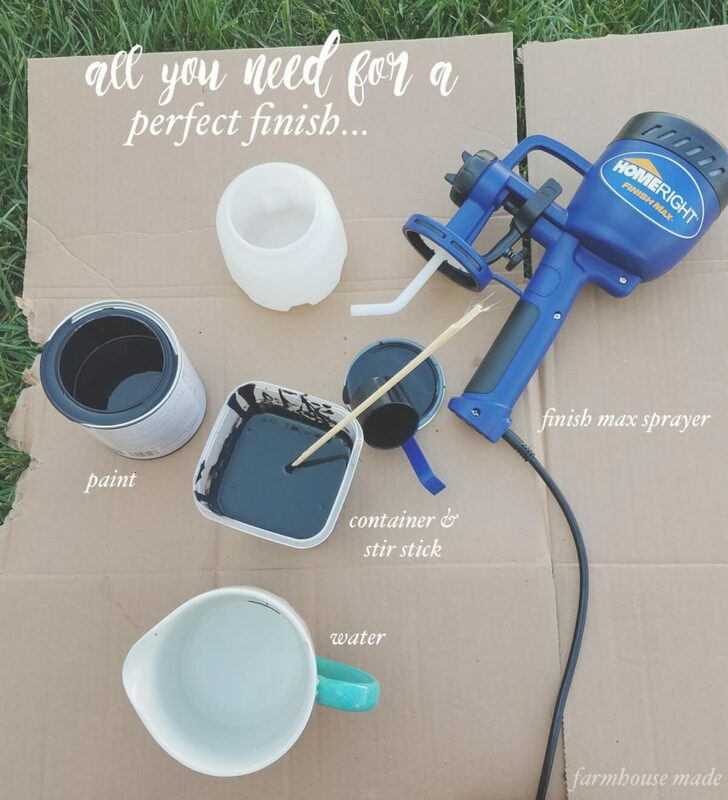 There is a fantastic post by Sarah at 1915 House, where she discusses the finer details of how to use this sprayer, so I suggest popping over there for her tips! 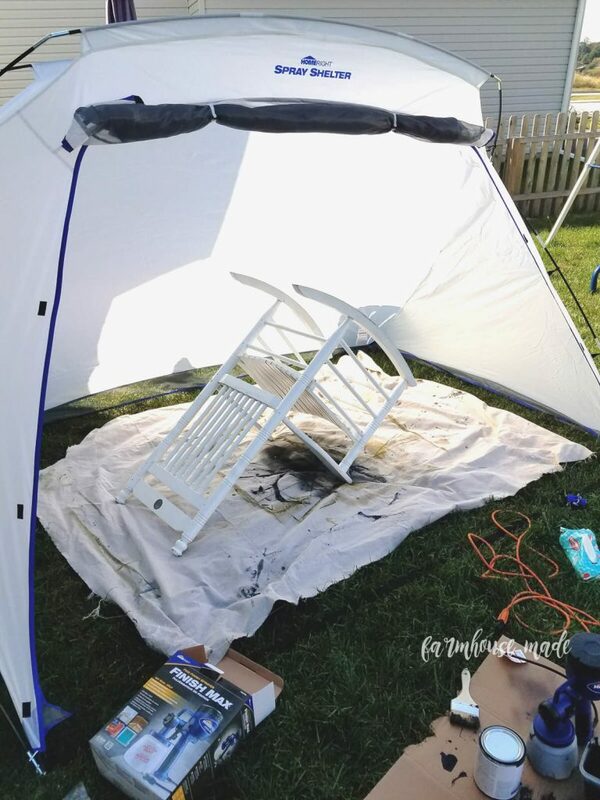 From start to finish (setting up the sprayer, thinning my paint, doing a final wipe down of the chair, setting up the tent, testing the sprayer nozzle settings, painting, and dry time between coats) in about 2 hours. The clean up was also done as the last coat was drying, and took about 15 minutes. I’d rather clean this sprayer, than paint brushes… I hate cleaning paint brushes! The finish I got with this sprayer is perfection, super smooth, and it looks like a factory finish. We are going to use the sprayer to stain our cedar fence, as well as painting our kitchen cabinetry in January after the holiday madness. The large shelter will completely fit in the basement, and because it’s not canned spray paint, it’s safe to use indoors. There’s a table top shelter as well, with a floor, and that’s perfect for smaller jobs. 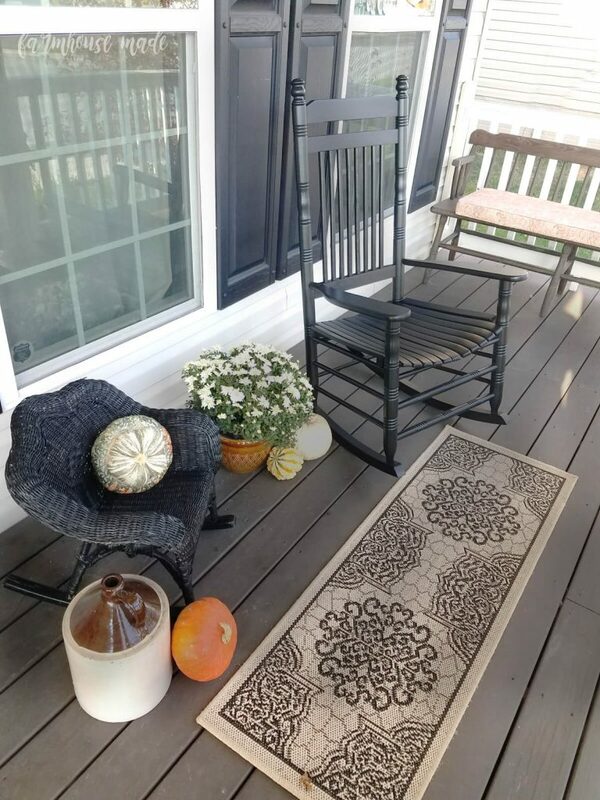 I am so in love with the smooth finish on the rocker now that it’s on the porch, matching the rest of the furniture! Well, except that bench… he may be next. 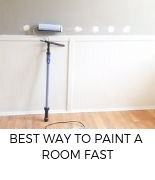 Enter for your chance to win a HomeRight MaxFinish Paint Sprayer! 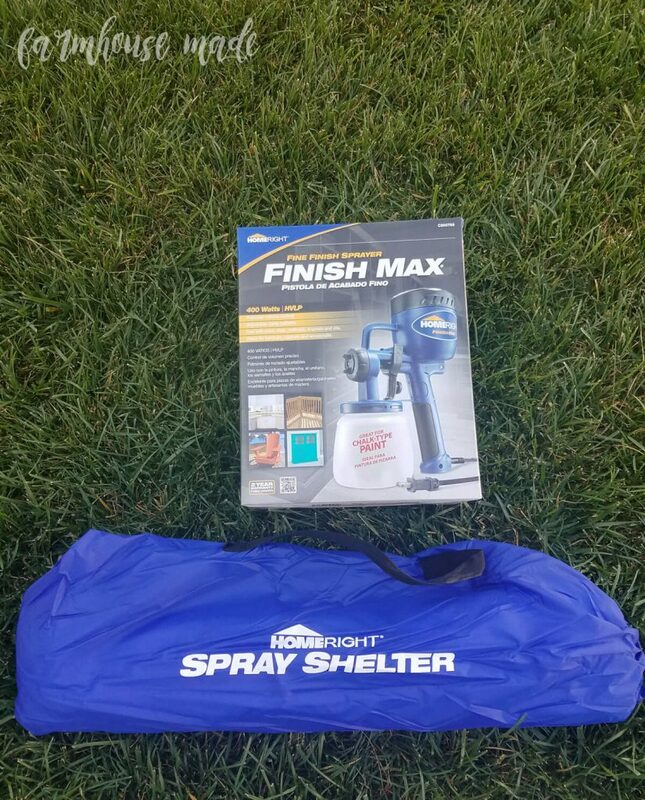 There is a Finish Max paint sprayer, a large Spray Shelter, and a Table Top Spray Shelter for one lucky reader to win – that’s a value of over $180!! KIM!!!! The finish on that rocker looks just like the finish on my new dining room chairs that we bought over the weekend!! The sprayer is a life saver…and I hate cleaning paintbrushes too!! Confession…a lot of times I just throw them away, lol!! 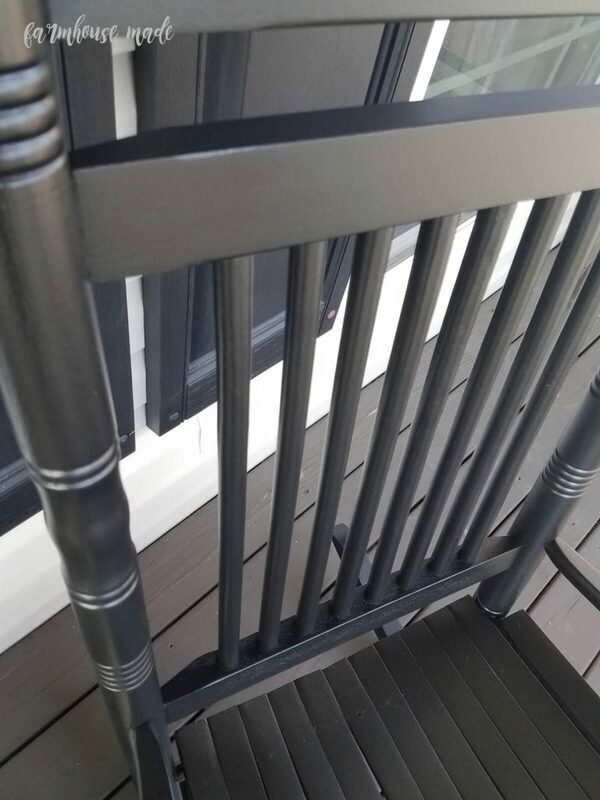 I can’t tell you how much I love this rocker in its new black finish. It looks completely pro-fessional! This rocker makes me SWOON!!!!! I can’t believe you had it done in under two hours!! Isn’t the HomeRight stuff the BEST??? !So happy that you love your goodies!!! The whole world needs to know about this glorious stuff! Nailed it, Kim! PS. I didn’t cover my floor either ! I’m seriously in love with that rocking chair! I must paint all the things black now 🙂 Seriously, don’t you love that sprayer? The finish is perfect and the shelters have saved me loads of paint lost to the wind that ends up on my bushes and my car. I could really use this for tons of projects. The rocking chair looks awesome and motivates me to get up and tackle some home projects. You make it look so easy and fast! I love your rocking chair! 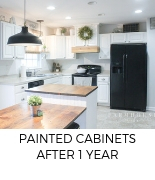 I’ve always been curious about paining furniture. After looking at the great result you had I’m ready to dive right in with a project I’ve been wanting to do for quite some time. I was always leery too, but the sprayer made it less intimidating! Give it a try, you’ll love it! Kim….I love the black rocking chair. This turned out awesome and you nailed it as usual. Great job. Love the smooth finish. 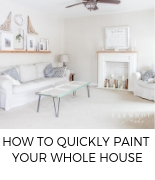 I have had a similar past experience with paint sprayers, so glad this is so much better! It looks great! 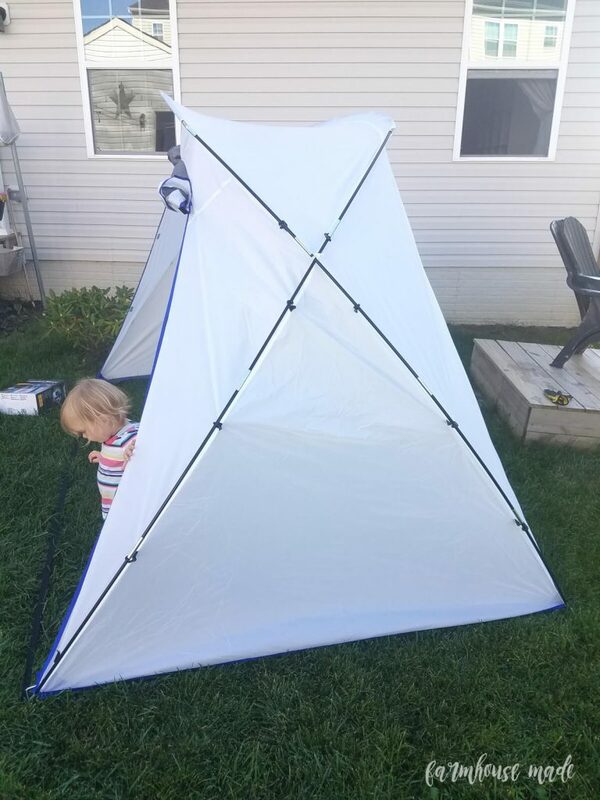 Can’t wait to try out that paint sprayer and shelter! Love that black rocking chair! I agree that it would have made a very uncomfortable spot for 2 am baby rocking! 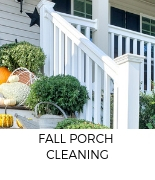 It’s perfect for your porch, though! OMG! 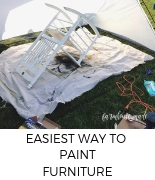 this chair would have taken forever to paint with a brush!!! Not fun! Anyway, the finish looks flawless and i LOVE the black. You make it look easy. Love it!! 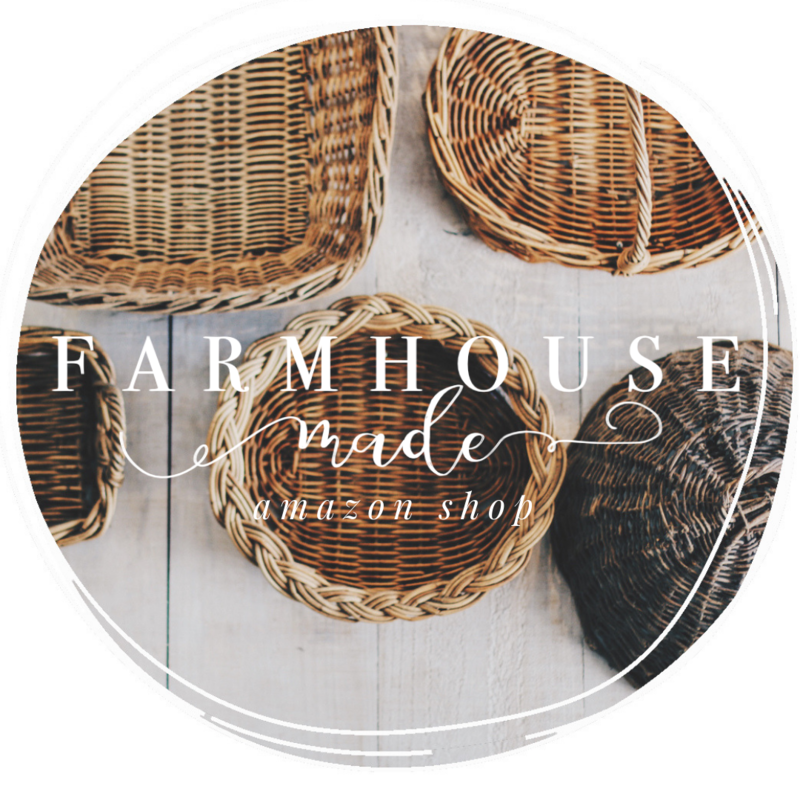 Love how easy this makes things! The paint went on flawless!! Yeah, I think the bench should be next! 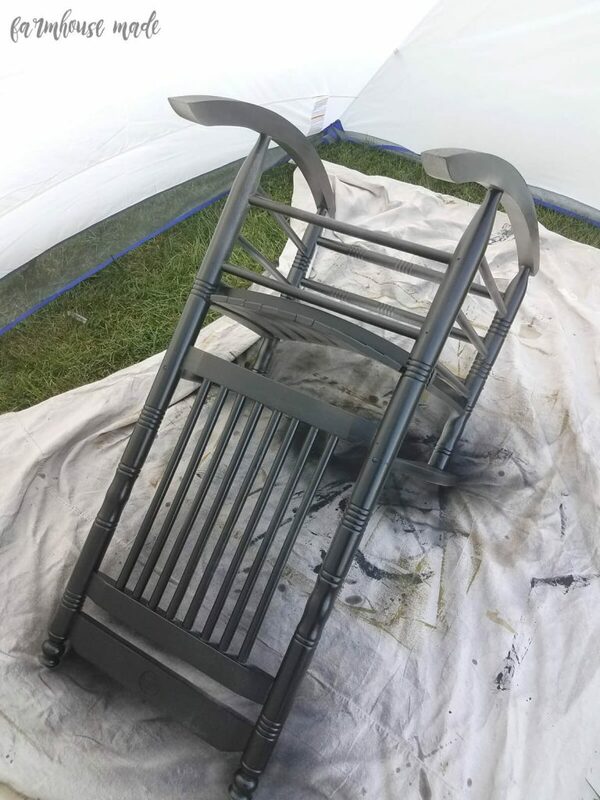 I hate painting chairs and that finish looks way better than any chair I’ve ever painted. Thanks for sharing. That chair looks great. We are needing to paint the inside and outside of our home, oh and our fence too. 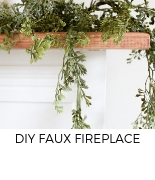 I would love this to paint my outdoor wooden benches and many other projects I would do!